The Radiator Company Athena Vertical Radiator has a beautiful flat front on top of an amazing slimline profile. The Radiator Company Athena Vertical Radiator is available as either standard White RAL 9016, 188 RAL Colours or 32 Special Finishes. The DQ Aviso Horizontal Designer Radiator is a new design which generates an amazing amount of heat and is a lovely look. It comes in so many colours you are guaranteed to find one that suit your room. The DQ Aviso Horizontal would look amazing in every room and gives off amazing heat output. The Radiator Company Tratto Towel Radiator is a stunning piece of Italian design. It is a sumptuous towel shelf with a the added functionality of a clear towel bar to dry your damp towels on. The Tratto has a choice of a remarkable LED Light with 12V transformer, or without LED light. The Radiator Company Tratto Towel Radiator is available as either White RAL 9016, a choice of 188 RAL Colours or 32 Special Finishes. To choose the RAL colour or Special Finish you require, please select the colour on the right and then type in your choice to the notes box at the checkout - to view available colours please click here, we will then confirm back by return. The Radiator Company Pulsar Towel Radiator is a classic design with a modern twist. With beautiful ladder style bars with spacing to be able to put extra thick towels on, it has a lovely picture frame look around it. The RDC Pulsar is a striking design and would look great in any bathroom. The Radiator Company Athena Horizontal Radiator has a beautiful flat front on top of an amazing slimline profile. 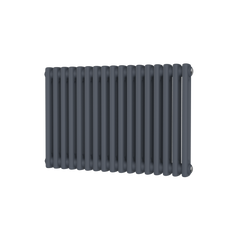 The Radiator Company Athena Horizontal Radiator is available as either standard White RAL 9016, 188 RAL Colours or 32 Special Finishes. 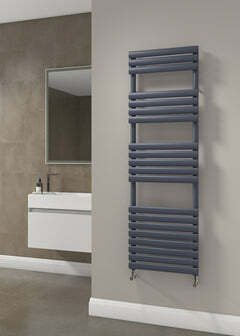 The DQ Drifter Vertical Designer Radiator slim, stylish design. The subtle ridges give a really modern look plus it comes in so many colours you are guaranteed to find one that suit your room. The DQ Drifter Vertical would look amazing in any/every room and has the additional benefit of low water content meaning lower energy bills. The Radiator Company Step Towel Radiator is a creative take on the normal towel rails. It has curved flat bars to give great space for hanging those towels. The Step Towel Rail is a beautiful design and would look great in any bathroom, or even a kitchen for hanging tea towels on! The Radiator Company Step Towel Radiator is available as either White Pearl, Chrome or Black Chrome. The DQ Oakham Towel Radiator is a stunning sleek, modern slimline designer radiator. 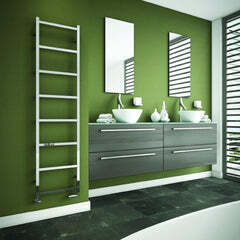 This is a versatile and practical radiator as you can add shelves to store towel or toiletries which is great feature. The DQ Oakham would make a fantastic addition to any bathroom or kitchen. 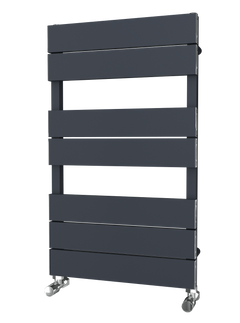 The DQ Oakham Towel Radiator is also available in mild steel and is available in Central Heating, Electric or Dual Fuel. If you are interested in the Dual Fuel option please contact us for the price.